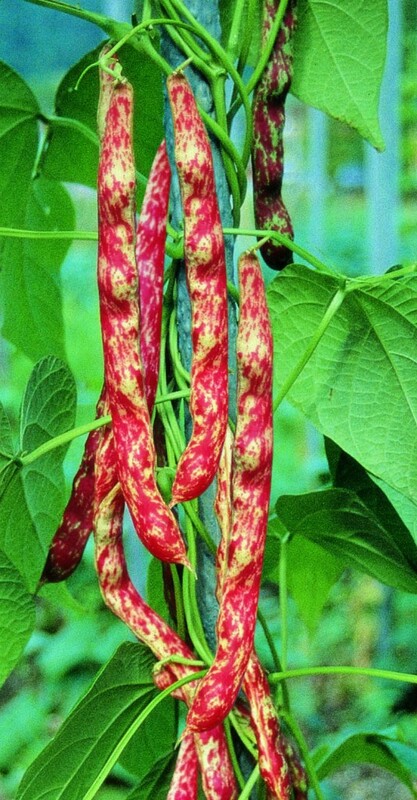 Climbing plant for dry shelling bean. Straight pod, slightly curved, long 18cm, white with bright red speckles. Kidney shaped seed, white with light brown stripes.